There are a lot of great horses out there to choose from. However, one of the most loved horses in the world would have to be Egyptian horses for sale. These are great horses for many reasons. One of the main reasons why people love these horses is for the simple fact that these horse have very charming personalities. Not only that, they are very strong horses that you can count on to do just about anything. Today we are going to talk about some of the characteristics of the Egyption horse so that you will have a better idea of what to expect from this horse. Keep in mind that, before you keep reading, Egyptians are not the easiest horses to find in the world. Not only that, but they are, by far, not the cheapest horses you can get either. These horses can cost a lot and are hard to find. That is the main reason why Egyption horses are not very popular yet. People just can not afford to own them, and the people that can would just rather have a different kind of horse. The first thing to note about these horses is, of course, their personality. They are very friendly and very outgoing. This is why people like to use these horses for long rides. They enjoy getting to go outside and run around. Not only that, but these horses do really well in hot weather areas. Many horses can not be in hot weather for a long time without becoming too tired. The Egyptian horse actually specializes in being out in the hot weather. When people talk about the Egyption horse, there is also one other thing that they always talk about. That is the fact that these horses are really easy to control. They have a need to please, and thus, you can control them with very little focus. That is why a lot of women like to use these horses as a mount. Some people have even made note that Egyptians are also great horses for kid mounts as well, and first time riders. Like a lot of horses, the Egyptian horse actually varies in size and color a lot. It’s a good idea to know the basic colors of the horse before you go out looking for them. Since a lot of people like to mix the Egyption horse with other horses, it can be hard to find one that is the perfect fit for you. Overall, this is a horse that you will have very little problems out of. In fact, the biggest problem you are going to have out of this horse is actually finding it. Depending on where you live will determine how easy this horse is to find. If you live around the Middle East, then you should not have too hard of a time finding these horses. However, finding breeds in other locations can be kind of hard. The people who want this horse do not care, however. These horses have such good personality! One thing that Miniature Horse enthusiasts will let you know very quickly is that Miniature Horses for sale are not ponies! In fact, those with the best breeding are much smaller than the smallest pony. When searching for Miniature Horses for sale, you want to find the quality breeders that offer the best pedigrees for producing offspring that is as small in size as possible. For many, competition with Miniatures is in showing their horses among large numbers of competing horses in order to take the prize. When you use Animaroo to find verified breeders of Miniature Horses, you can find the best in breed for showing or for breeding your own horses. Of course, Miniature Horses are also a wonderful choice for family pets. While many people like having a smaller horse to introduce young children to horse care and ownership, there are still many needs that the Miniature Horses have that are the same as for big horses. Before purchasing one of the Miniature Horses for sale, be sure you understand the horse’s need for space and fencing. Although they are not large and sturdy enough for riding, these horses can bring a great deal of companionship and joy to their owners simply from having them around. Whether you are interested in competing with your Miniature Horses or you want to enjoy the novelty of a smaller horse around your home, let us help you find the breeder and horse that you are searching for. While size matters when searching for these horses, breeding will be more significant an issue if you are competing or breeding. We can help you find the best horse for your specific needs! There are a lot of great horses out there in the world today, however, one of the fastest growing in popularity is, of course, the Buckskin horses for sale. This is a type of hair coat color for the horse. For the most part, Buckskin is a color that resembles a certain shade of tan. It almost looks like tanned deerskin, and thus, it gets its name Buckskin. For those of you who are not sure, Buckskins for horses look like the same color as Buckskins for dogs. Most of the time, you get a tan or kind of gold colored horse that also happens to have a dark color tail or mane. Sometimes even the lower legs of the horse will be dark as well. Today we are going to talk about how you make Buckskin horses, and how they came about. We are also going to talk about how a lot of people get the Buckskin color confused with another horse colors as well. However, in the end, most people agree that they like the Buckskin horse color. First of all, you get the Buckskin color as a result of a cream dilution gene that is acting out on a bay horse. The color is very breathtaking on a horse, and that is why so many people love it. In fact, most women have said that they like the Buckskin color on a horse more than any other horse color. A lot of cartoon horses are colored to fit this color combination. Although the Buckskin color does not refer to just one breed of horse, one thing is for sure, the Buckskin color is one of the best that you can get. It can be hard, however, to find this color on a horse. There are very few breeds of horse that actually have the Buckskin color. Of course, by looking around online, you can come across a few horses that have this color. When you are looking, you are bound to come across a few that people have confused with another color. They think it’s Buckskin, but it is not. When looking for the Buckskin color, you are going to find a lot of the dun colored horses. This is yet another type of dilution gene on bay colored horses. Although this looks a lot like the Buckskin, it is not Buckskin at all. The dun color on a horse also has primitive markings on it. Normally, you will see a shoulder bald strip or some kind of zebra strips on the legs. Sometimes they will even have a dorsal stripe. These are things that you have to look for. They are not actually Buckskin horses if they have those markings. Overall, you will be able to find the Buckskin color on a breed if you look long enough. The only problem is, you have to find it on a breed that you actually want. A lot of times, people will buy a breed of horse just for the color, but that is not what you want to do. Find out what breeds of horses come in Buckskin, and then choose a breed from those horses. The Fjord Horse for sale, also sometimes called the Norwegian Fjord horse, is a very short horse. However, just because they are short does not mean that they are not strong. In fact, they are a very strong breed of horse that comes from the mountainous regions in western Norway. Just to give you an idea of how short this horse is, Fjord horses are only about 13 to 14 hands high. Most horses stand about 16 hands high. However, it still weighs a lot because of its big build. In fact, this is a horse that can weigh anywhere from 880 pounds all the way up to 1210 pounds! Since they are so small, a lot of people tend to view Fjords as ponies, not horses. In fact, they fall just under the traditional cutoff for horses. Either way you look at it, Fjords are always considered horses and not ponies. Today we are going to learn a little bit more about Fjords, that way you know what to expect from them. You many not know this, but Fjord horses are one of the oldest breeds in the world. In fact, they have been without cross breeding their whole life. They are a very pure breed, and that is an amazing thing in this day and age. A lot of people think that the ancestors of the Fjord breed actually migrated to Norway almost 3,000 years ago. From where they, of course, were domesticated. People say that they think that the horses, at one point, were bred by the Vikings, who used selective breeding on them about 2,000 years ago. Thus, the Vikings helped shape the horses that we know and love today. Most people are shocked at how strong the Fjord horse is after they see it. It’s hard to think that a horse that is that small can be so strong. However, that is the joy of owning one of these horses. You never know what it is going to be able to do, because it is just such a strong and powerful horse. People search all over the world to own these horses, and it’s easy to see why. These horses are used for pulling heavy loads, but they are so much more than that. They are very capable of carrying a full grown adult around. This means that you can count on this horse for a number of things, which is what you want out of a horse. You want one that is muscular and that you can count on. If you can get a horse like that, then you are well on your way to having a horse that is well worth keeping. They have a very winning personality as well. This makes it an easy horse to want to pickup. If you think about it. It’s hard to find a horse that is good at both work and being friendly. Most of the time, you will only find horses that can do one or the other. However, that is not what you will come to expect from these grand horses. The Sorraia horses for sale are nearly extinct. A few herds are maintained in a half dozen places in Spain and a few in Germany. The Sorraia Horse has no history as a domestic breed, but old documents show that these horses were brought to the Americas by the Spanish conquistadors. The Sorraia generally stands at about14 hands high. Domesticated Sorraias have been broken to ride and used for herding livestock. The Sorraia is noted for its ability to withstand extremes of climate, particularly dry, hot climates, and to survive on very little forage while at the same time maintaining its health. The Sorraia is too long-legged to be seriously considered a pony type. As a zoologist and paleontologist, he finally decided he had stumbled on an ancestral type of horse, and that it needed to be preserved. He acquired seven mares that possessed the characteristics he considered typical according to his studies, and left them to fend for themselves on his property, which fortunately was large enough for such a project. He tried four different stallions on them. His theory was that living wild, without the help of man, in their own habitat, would result in Mother Nature’s purifying the small population, and bringing out and consolidating their original characteristics and abilities. The Ob Pony is also known as the Priob. They are a notably rare breed found in western Siberia in Russia and are used as a Draft Pony. A Draft Pony is generally used for heavy tasks such as farm labor or as a pack animal. The Ob typically has a working life of approximately twenty years. The Ob Pony is small in stature with a long back. Ob Ponies are incredibly sturdy and enduring. The head of an Ob Pony is medium in length, the neck is short and thick, the withers are low, the legs are sturdy and muscular, and the hooves are wide. They generally stand approximately 13 to 14 hands high, which is a normal size for a pony. Colors vary in the Ob breed but are generally dun. Dun, grullo, and bay Ob Ponies typically have dun factor markings which include a dorsal stripe, shoulder stripes, and striping on the legs. Ob Ponies are wonderful work ponies as they are built so sturdily. Many people prefer to use Ob Ponies for tough tasks as opposed to larger work horses, because the strength of the Ob is comparable—yet the size of the Ob makes it much easier to maneuver. Additionally, Ob Ponies can get into places that larger work horses cannot. As such, to many, the Ob Pony is the preferred work animal. If you are in the market for a great work horse, you should search for Ob Ponies for sale. You can find Ob Ponies for sale from a horse breeder, local horse owners, or even on the internet. If you find Ob Ponie for sale, be sure to look at all of your options and price compare. The ages, abilities, dispositions, and other desired attributes will vary a great deal on the Ob Ponies for sale that you find. Also, the prices of Ob Ponies for sale that you find will vary quite a bit as well. When you find the Ob Pony for sale that you must have, be sure to get to know him or her a bit before taking him or her to its new home. Once you have found the Ob Pony for sale that will be your new pony, make sure that you have all of the horse accessories and supplies you will need. If you are a first time horse owner, you will have a great deal of horse supplies to obtain. If you own other horses, your new Ob Pony won’t require many additional supplies. Finding Ob Ponies for sale is not a difficult task Finding the Ob Pony for sale that is right for you is a bit more challenging. However, if you are a horse lover, and take the time to get to know the Ob Ponies for sale that you meet, you will soon be spending time with your very own Ob Pony. The Anglo Arab horses for sale, also called the Anglo Arabian horse is actually a thoroughbred horse crossed with an Arabian horse. The great thing about this horse is that it can be done in two different ways. 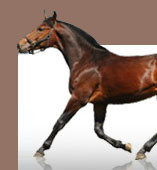 You can choose to mix a thoroughbred male with an Arabian female, or an Arabian male with a thoroughbred female. It does not matter when making Angle Arab horses. If you are having a hard time locating this horse, then the best place to look is France. In fact, France is the greatest producer of all Anglo Arab horses. These horses can be used for sports, but some people use them for other things just because they can. For example, this horse is also a great military horse as well. A few people choose to use them as just general riding horses, but that does not happen as much. Mostly just because these horses can cost a lot of money, and no one has the money to just buy them to ride around on. The Anglo Arab is a horse that has great speed and stamina. They do very good at event riding, and they have the jumping ability to be in jumping competitions. Above all, these horses have speed. In America, however, the Anglo Arab is considered to be just a part breed, meaning that sometimes it can not be used in certain shows. Overall, however, they do have great endurance and their stamina is through the roof. They can be great work horses if you need them to be. The horses are usually about 15.2 hands high, but can get as big as 16.3 hands high. Anything bigger than that puts them out of the requirements to be an Anglo Arab horse. These horses do have very strong bones. This is good news if you want your horse to be a jumping horse. After all, their bones have to be able to support the weight of them jumping around, and that is a lot of weight to support. The Anglo Arab is a horse that you are going to fall in love with. It has an amazing look, but an even better personality. This horse, overall, is something that you are going to fall in love with many times over. They can do pretty much anything that you want them to do, and that is one of the strong selling points of this horse. Also, they are very easy to train. Most people do not know this, but they are easier than other horses to train. That is one of the main reasons why they were used as military horses back in the day. These horses do make good family horses, and this is pretty easy to see. If you are going to own this kind of horse, this is not a horse that you can just send out to the field and forget about it. It needs the love of a human. That is another reason why these horses are loved. A lot of horses do not really like humans very much. They put up with them, but they do not like them. The Anglo Arab horse is not like that at all.